Scamp & Scoundrel, rare Tim Cotterill Frogman Bronze sculpture pair. These wonderful Frogman Edition Variations of Emerald and Gem are the perfect pair! 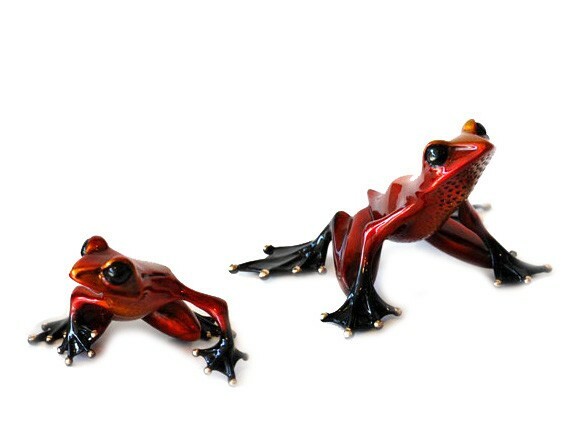 Striking red patinas make Scamp & Scoundrel eye-catching additions to your frog collection.